Let us help you share or sell files. 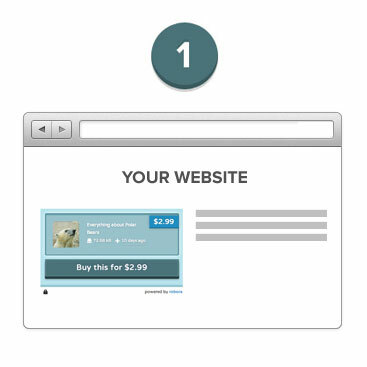 Drop one line of code onto any existing website and start selling files immediately. robora makes it easy. No website? No problem. Direct customers to a unique link and start selling immediately. Works great when trying to sell files via Facebook or Twitter.